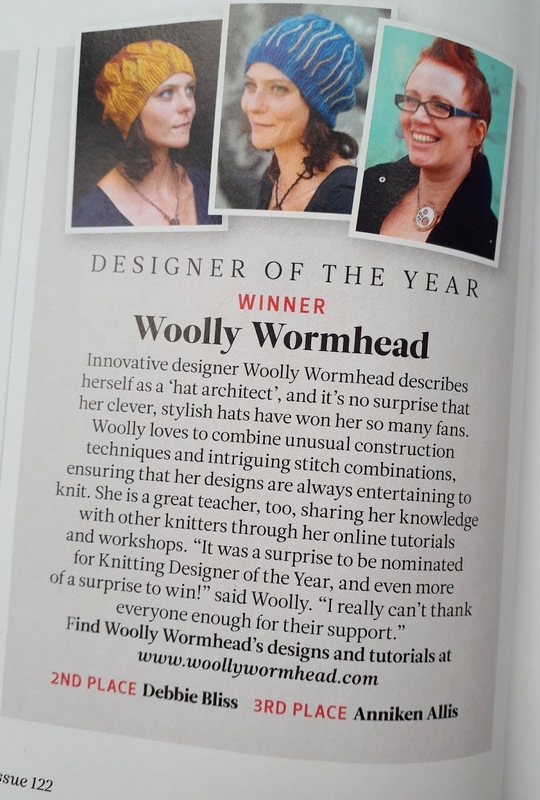 Before I share what I'm working on this week, I've got to tell you that I came third in the Knitting Designer of the Year at the British Craft Awards. Woolly Wormhead came first and Debbie Bliss came second. I'm honoured to be in such excellent company. 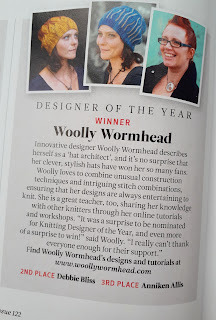 Woolly and Debbie are both designers I admire and they're both lovely people too. Since I came home from Edinburgh I've worked exclusively on my Laceball 100 (colour 1699) shawl. I weighed my remaining yarn last night and I've got 1/3 to go. I had hoped I was closer to the end as I need to cast on a magazine commission this weekend. 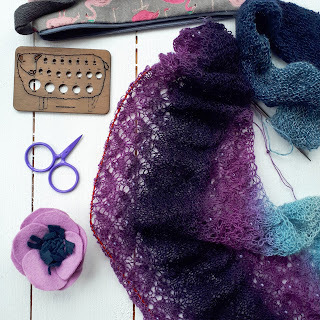 I'm hoping to sneak in some work on this shawl though as I'd like to finish it soon. 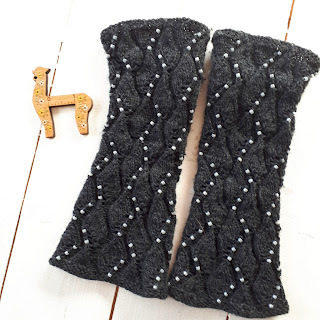 I've had so many lovely comments about this on Instagram and Facebook that it'd be great to finish it and get the pattern released but deadline knitting is calling! I had a lovely parcel arrive from Australia last week. 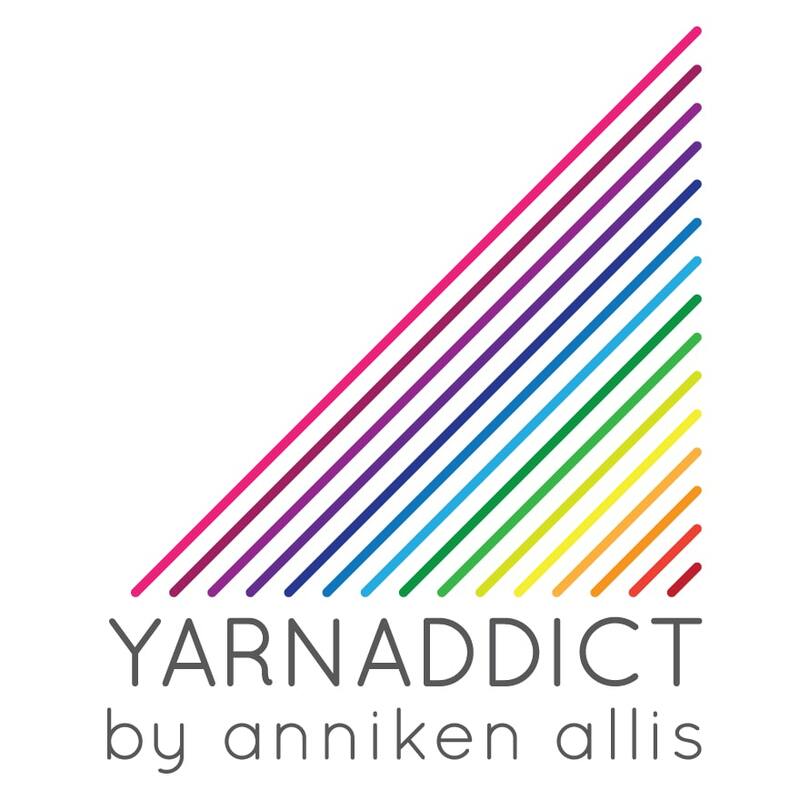 I've seen a lot of talk about the Lykke needles on social media over the last year. They're made from drift wood and look beautiful. I've not had a chance to try them yet. So when I noticed that The Leatherman's Wife were stocking them I had to order a pair. I got the size I use for socks. I also got a beautiful needle gauge. You can never have too many of those and a beautiful one doubles as a photo prop. Sarah makes these fab leather clips. The small one came with the circular needles and Sarah sent me two larger ones. I'm actually using them to keep my circular needles for my workshops together. 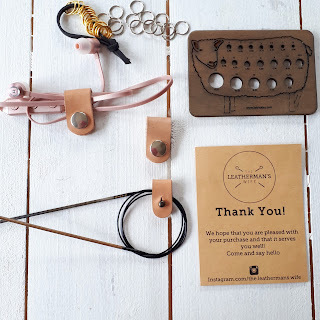 I have a pouch with two sizes of circular needles that I use for my classes and I'm struggling to keep the sizes separated and these leather clips are perfect. I'm going to have to get more. As you can see in the photo you can also use them to keep your headphones organised. Sarah also sent me some great stitch markers. Plain stitch markers are my favourites and these are already in use. 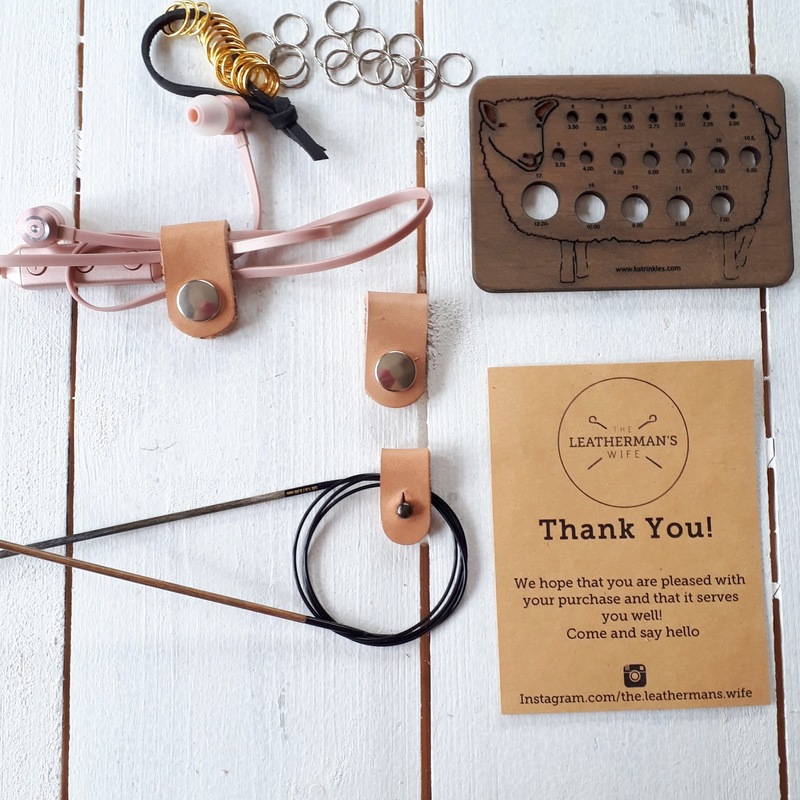 Sarah has some fab leather goods and knitting notions in her shop as well as the Lykke needles. Go check her out! I think I forgot to share a photo of my new hand-warmers. I started them two days before I left for Edinburgh and within four days they were finished. I've worn them every day since. The photo isn't great. I need to take a better photo and get the pattern ready.